Tar sands crude oil pipeline company Enbridge repeatedly has shown itself to be an trustworthy partner. Here are the two latest examples. The company that operates twin oil pipelines in a Great Lakes waterway says it knew three years ago that protective coating had been damaged but didn’t inform regulatory agencies. 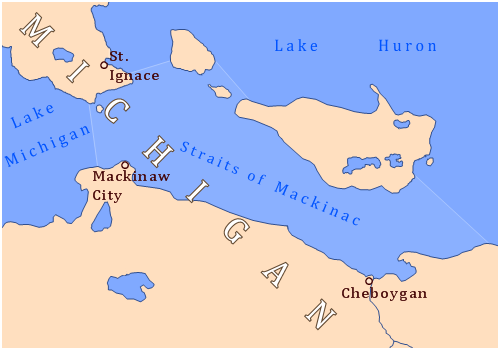 Enbridge Inc. says a gap was opened in enamel coating on one section of Line 5 in Michigan’s Straits of Mackinac as a support anchor was being installed in 2014. The coating gap is one of several that have exposed bare metal on parts of the pipelines. In related news, Honor the Earth has criticized the Minnesota Pollution Control Agency (MPCA) for its inaction after it found out that Enbridge had made false statements its applications for Minnesota pipeline staging areas. For several years now, Enbridge has been stacking up pipeline around northern Minnesota in anticipation of getting state approvals for Line 3. It had to get storm water construction permits in 2014 and 2015 to create these staging areas. Enbridge indicated on its online form that the project had all necessary environmental reviews — which it did not. These violations have irreparably undermined the state’s ability to conduct an objective process for reviewing the projects and determining if they are in the state’s best interest…. This has also introduced enormous bias into the court of public opinion, as rural communities across Northern Minnesota have now spent years living with pipe for the proposed project transported on their roads and piled in their backyards.